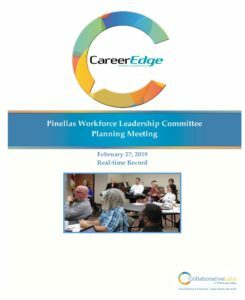 At its February 27th, 2019 meeting, the Pinellas Workforce Leadership Committee determined it would focus its efforts on establishing a skilled trades collaborative to include HVAC, Automotive, Plumbing and Construction. The new CareerSource Pinellas CEO attended the meeting spoke about partnerships and CareerSource Pinellas moving forward. 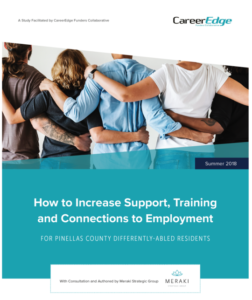 employment for the target population- differently able Pinellas County residents. Since CareerEdge Funders Collaborative began seven years ago, data has been collected to showcase the impact the non-profit and its funders have had on the community. 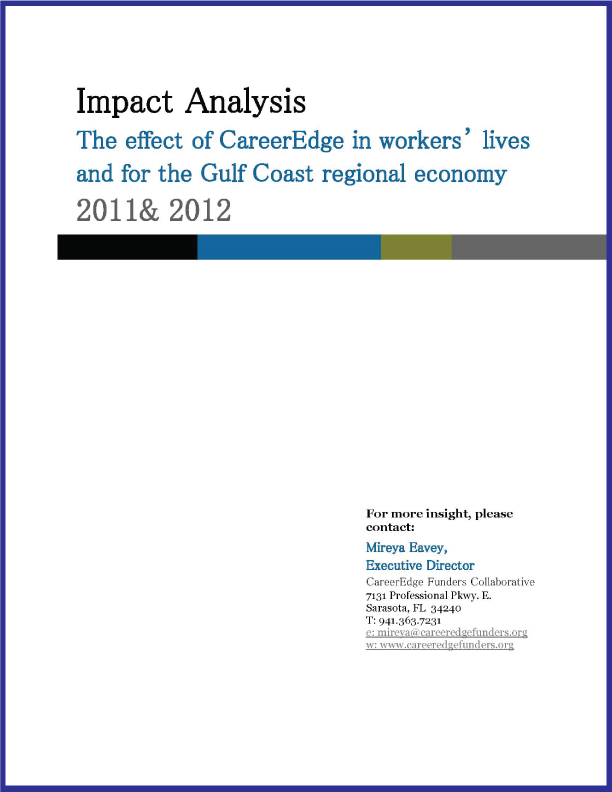 The report captures the measurable outcomes that have resulted from investments made by CareerEdge and its partners towards workforce development in the region. 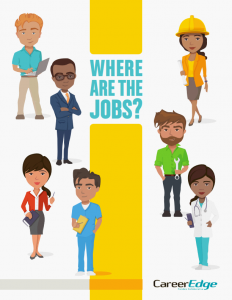 Where are the Jobs? is a guide developed by CareerEdge Funders Collaborative to assist our region’s students and young adults when deciding on a pathway to a career. The guide features high-demand jobs, the average wages and the educational pathways needed to obtain each career. CareerEdge hosted a Workforce Forum to better understand the workforce need in St. Petersburg Florida in 2017. The event was attended by 30+ community agencies and consisted of conversations and strategy sessions to better assist the local workforce and decrease duplication of efforts in the community by working more closely together as organizations. The Collaborative Labs at St. Petersburg Community College recorded a “real-time” record of the discussions, plans and goals that came out of the meeting. View the record to learn more. 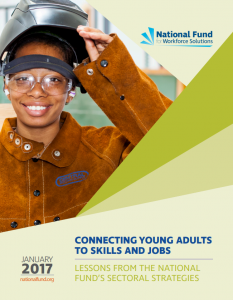 The report illustrates the growing and development of young adult strategies and programs within the National Fund for Workforce Solution’s collaborative members. CareerEdge was one of five collaboratives chosen to participate in the report out of over 30 national collaboratives. With the goal to connect youth with in demand jobs, CareerEdge is leading the way in developing a skilled pipeline of workers to fill these positions. 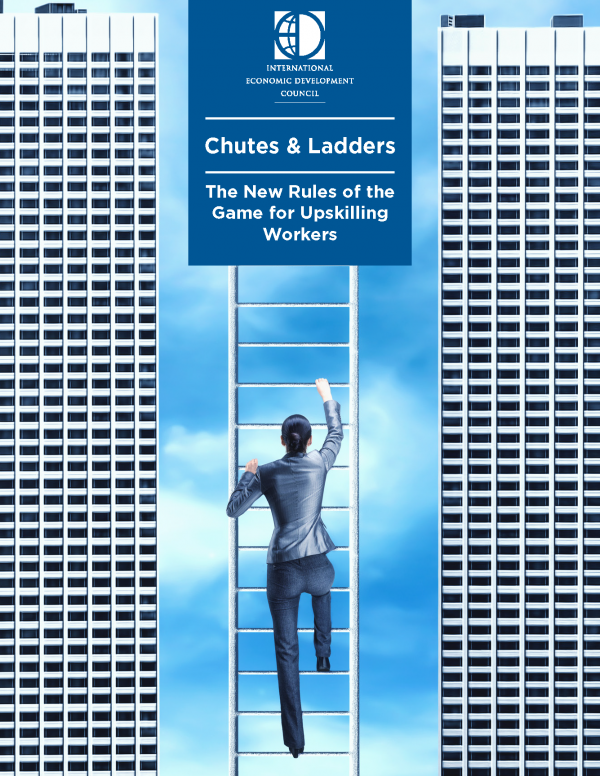 The International Economic Development Council (IEDC) released a report about the changing landscape of workforce “learning systems.” CareerEdge is 1 of 5 national workforce development organizations profiled in the document, titled Chutes & Ladders: The New Rules of the Game for Upskilling Workers. According to the report, CareerEdge’s success has been attributable in part to relationships with regional economic development organizations. 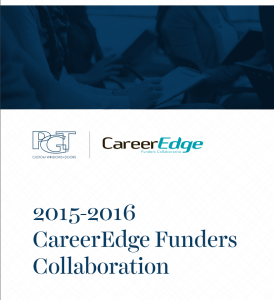 The report created by employer partner PGT shares the impact CareerEdge funding and support has provided for the organization and its employees. The report focuses on the CareerEdge grant given to PGT for $59,285 in June 2015 to provide educational programs supporting the transportation, distribution, logistics, and manufacturing areas of the PGT workforce. CareerEdge Funders Collaborative creates better jobs, better wages, a better community. CareerEdge Funders Collaborative is proud to present our recent case study called the “The Power of Partnership” which highlights the National Fund for Workforce Solution’s model for community collaboration and how it has successfully impacted the Sarasota-Manatee region. 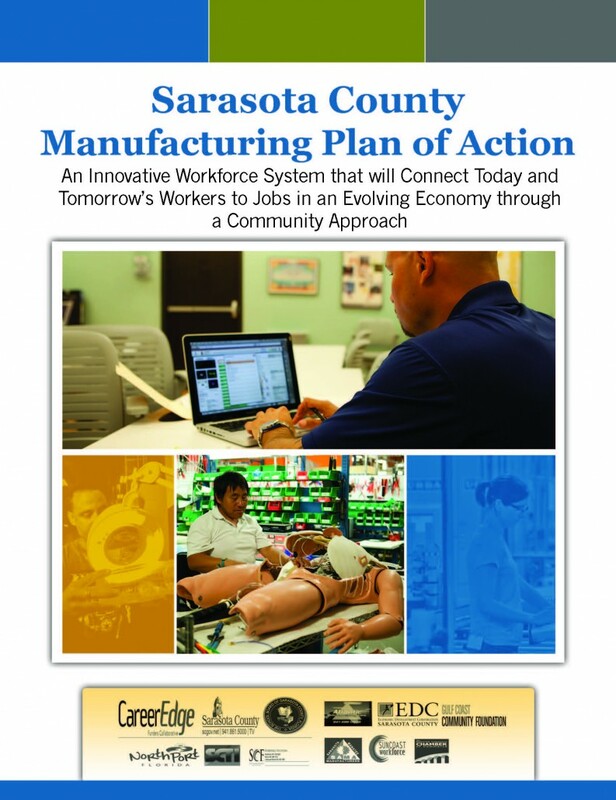 The purpose of this Plan of Action is to put more Sarasota and Manatee county residents to work, while filling vacant positions within the manufacturing sector and closing the skill gaps that are limiting growth for the industry. 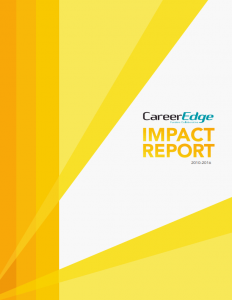 This Impact Analysis reports on the impacts that will result from CareerEdge’s $1.54 million investments in 2011 and 2012; recognizing that each year’s investment requires about four years time before it bears the full harvest of pay raises and promotions workers will earn from their completion of CareerEdge programs.